a) Has been determined by the United States Department of Veterans Affairs to be permanently and totally disabled as a result of military service and entitled to veterans’ benefits at the 100% rate. b) Has a certificate from the United States Veterans’ Administration, or its successors, certifying that he or she is receiving or has received pecuniary assistance due to disability for specially adapted housing. c) Has been rated by the United States Department of Veterans Affairs as individually unemployable. If you would like to Read the Bill I have it saved in my Drive here with Public access for viewing. Enrolled Senate Bill no. 352 This link will open in a new window. When I Read the bill I seen that your exemption from taxes starts on the Date you became 100% disabled. I called the city of Newaygo and they stated that I need to talk to the assessor for the paperwork. The lady at the County of Newaygo Treasury office stated that it is so new that they do not have the forms yet for us to fill out. I still wanted to share this so that anyone who qualifies can be prepared to look into it with their local Assessor. I also seen that if a spouse of a veteran does not remarry she will still qualify for the exemption. I will be checking out more details as they become available. Some questions I have to get answered are: ( I will get the answers to these as soon as I can. At this point the tax assessors are still being trained on how to do the paperwork for veterans. 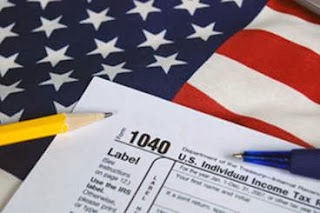 If I paid taxes while disabled will I get a refund on those taxes paid? If I owe back taxes during a period I qualified in will they be dismissed? What paperwork will I need to fill out in order to see if I qualify? If a spouse of a veteran who should have qualified has died previous to this bill going into effect, can the surviving spouse still apply as long as they are not remarried? I have Found some answers to these questions in a letter That was sent out to Tax assessors in Michigan. I have copied and pasted this here: The original letter can be found at this link for reference. It will open up a new window. individual described in subsection (2) is exempt from the collection of taxes under this act. the loss of its portion of the taxes upon which the exemption has been granted. benefits at the 100% rate. additional guidance following their December meeting. unremarried surviving spouse who own and use the home as their homestead. and December 2013 taxes, but will not cancel any taxes levied before 2013. State of Michigan form. A standard Affidavit is not planned to be developed at this time. I will add benefits I find for veterans as soon as I find out about them. If you have not read my previous post on how to get your student loans forgiven if you are 100% disabled please feel free to read that at this link. How to apply to Discharge your Student loans if you are 100% disabled! Elvis fans, hear 'ye, hear 'ye! This December, rock and roll while having a great time at Parkes Elvis Festival. You'll be amazed by being surrounded by everything Elvis inspired!